Flywheel/drive plate locking tool (starter motor aperture) – No.602589004000. Remove fuel injectors to ease turning engine. 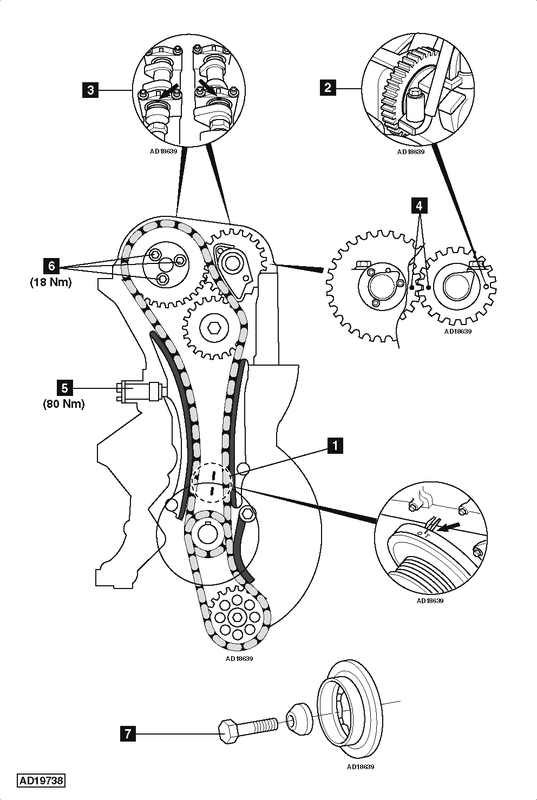 Do NOT turn crankshaft or camshaft with locking pin installed. Insert locking pin into inlet camshaft sprocket  . Ensure timing marks on each camshaft aligned  &  . NOTE: Bolts for camshaft sprocket MUST be renewed  .